Here is link to our Facebook Page. Thank you for visiting our website, which is still being developed. Until we add Locations page, use this link for latest updates on where to purchase POWER Rub. 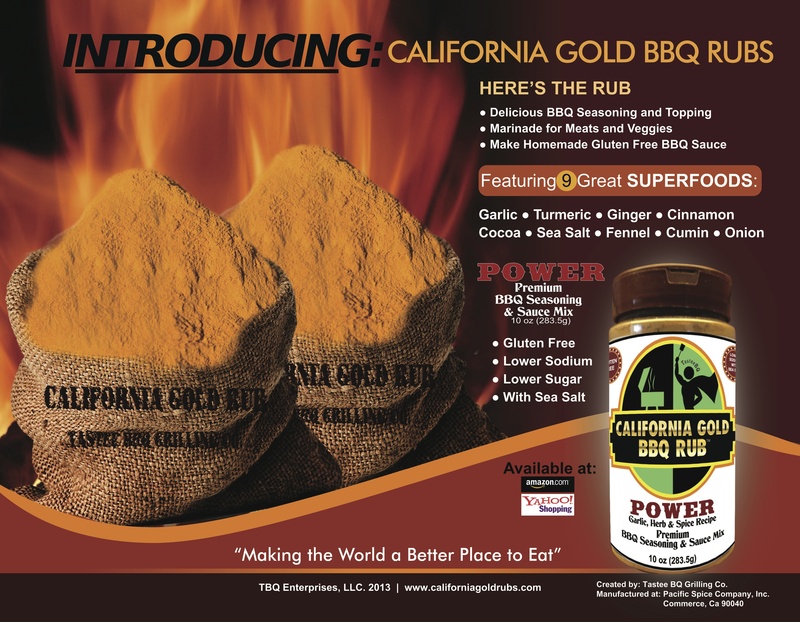 Thank you for visiting the New Recipes page for California Gold BBQ Rubs. Use our delicious blends to enhance almost any recipe. We will be updating this section weekly, so please try to return often. Even better, Subscribe to this page and you will be notified of all updates as soon as they are posted. Any questions or comments you have are sure to be instructive to others, so feel free to post them here. They will be answered by TasteeBQ himself. Hope you will enjoy this page (nearly) as much as you enjoy using California Gold BBQ Rubs.